Panoramic views of the mountains of the Sierra de Guadarrama National Park in a luxury cottage using 100% renewable energy. 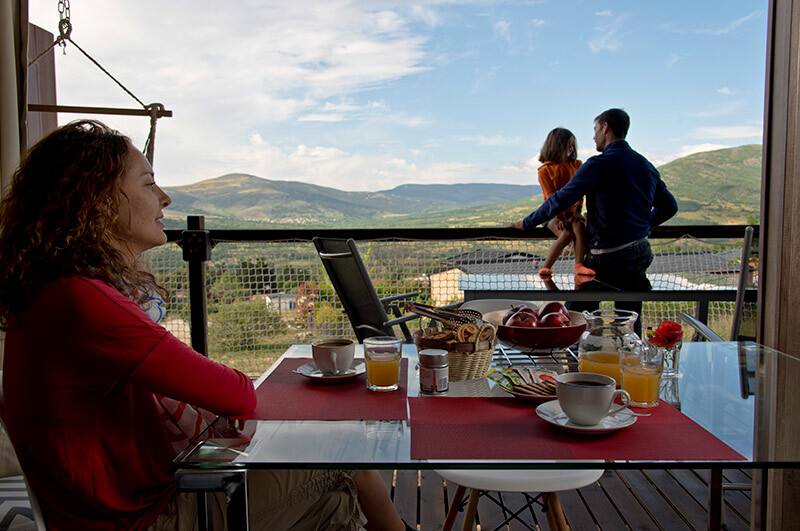 If you are looking for family cottages in Madrid, Spain, this is your choice! 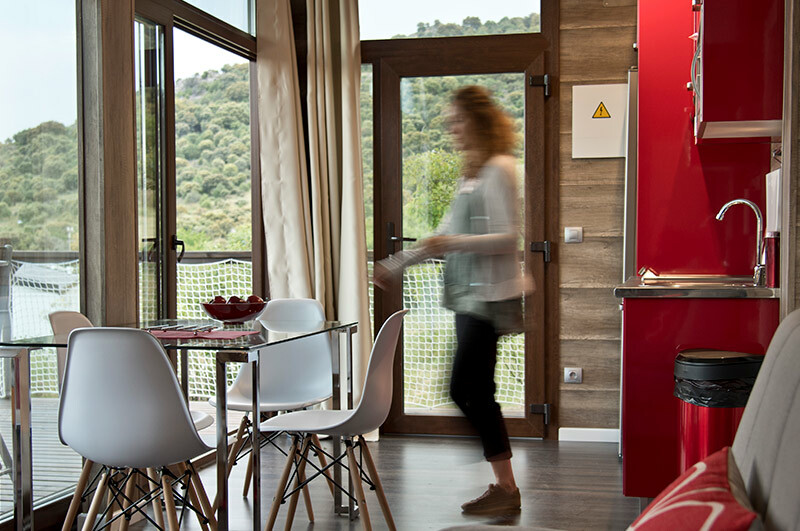 Five ecofriendly cottages in Madrid available for you in Monte Holiday. 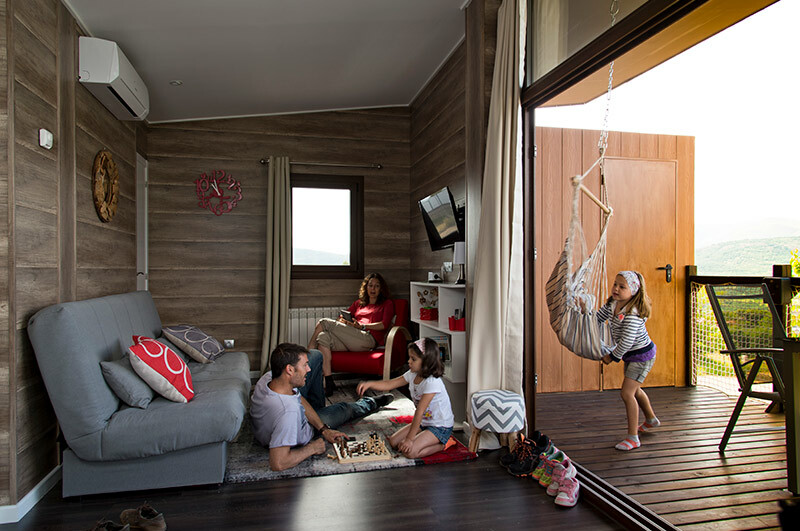 Luxury lodges are fully equipped for up to six people. 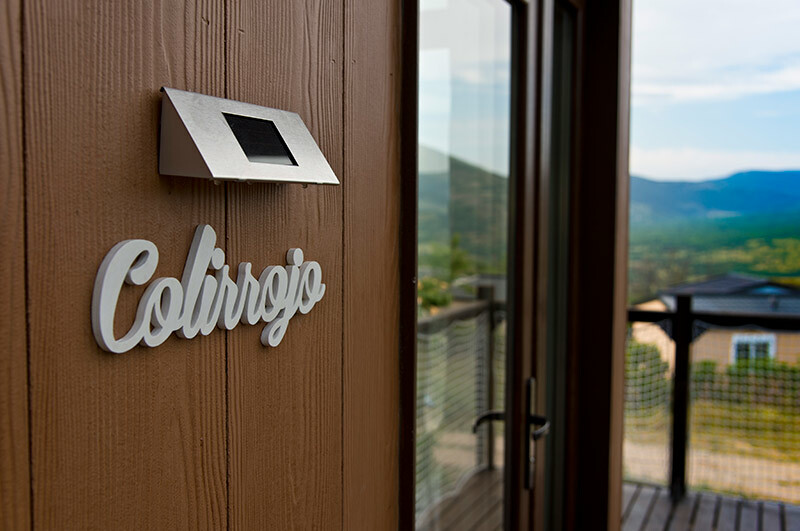 Ecolodges are designed to provide maximum feeling of nature, large windows, stunning views of the mountains, wide terrace. 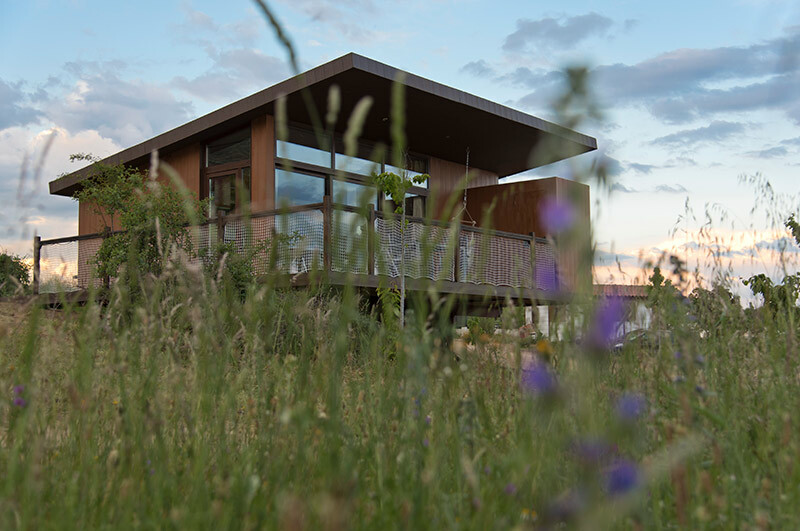 The Ecolodges are elevated 1-2 meters above ground, surrounded by nature. They show a modern design and offer splendid views of the mountains. The Ecolodges have two rooms. One with two 80 cm beds and the other one with two 80 cm bunk beds plus a trundle bed. At the living room there is another 135 cm sofa bed. 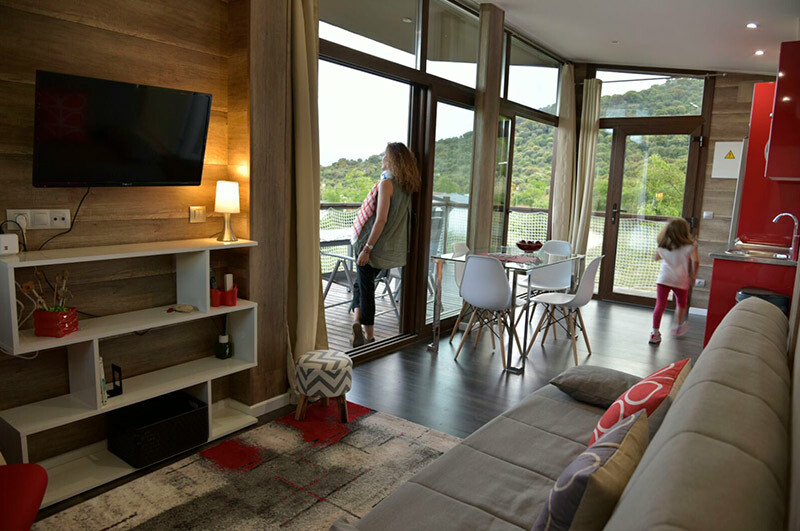 From the living room, enjoy the beautiful views of the mountains of the Sierra de Guadarrama National Park. Modern design kitchen integrated in the living room and a spacious terrace.